8 Little Known Baby Safety Hazards That Will Surprise You! As she dressed her baby up in adorable bear booties, little did one mum think that these very booties – seemingly safe – could seriously harm her little baby’s foot. It was the baby’s ‘hurt’ cries while her foot was being rubbed that alerted the mum. 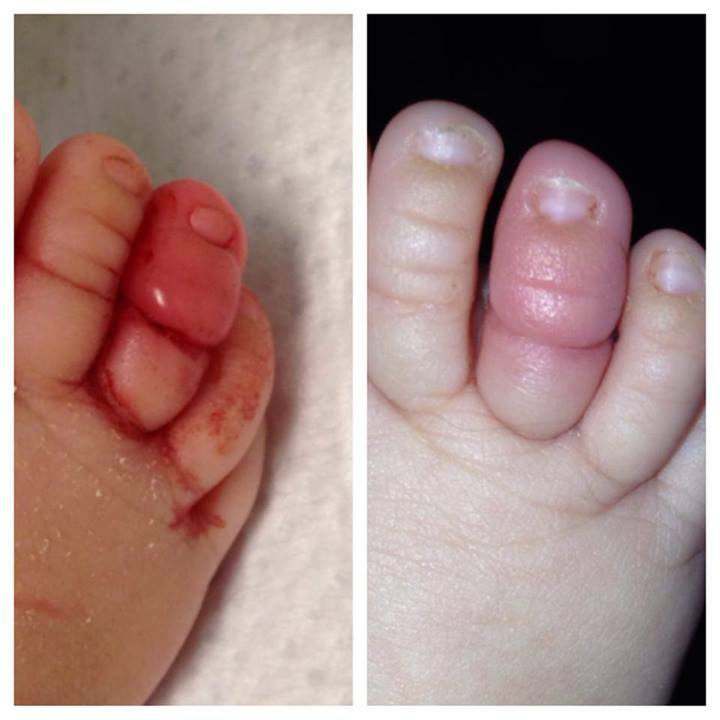 Upon checking, the mum found that the baby’s toe was cut and bleeding. A thread in the baby’s booty had come loose and wrapped around her toe. This has not only injured her toe, but had cut circulation to it. On her post online, the mum says ” I don’t post pics that are grotesque; however, I think this is appropriate to share with other parents of young ones”. Indeed it is, and no doubt grabs our attention. Things we thought to be absolutely safe – in this case baby’s soft comfy booty – can be a serious baby hazard! We agree that this is a unique situation and could seldom happen, but can we be careful enough in our efforts to keep our precious babies safe? Baby safety hazard: Little do you think that these gorgeous little booties are a safety hazard!! Similar to this baby’s booty, there are a few other seemingly innocent things we would like to draw your attention to that could potentially be baby safety hazards. On her facebook page, this mum advises parents to turn onesies, socks, booties, mittens and all other clothing inside out before dressing your baby. Check for loose thread, loops or anything that baby can get a finger or toe stuck in. Make sure tags are removed before washing as well, as these could scrape baby’s soft skin. Careful inspection is especially important when it comes to hand-me-downs. Since these are pre-loved clothes, the risk of having loose thread is higher. Also check for holes where baby’s toes or fingers can get entangled. The older the kid gets, the smaller the parts in their toys get, and some of these are detachable. These are a serious choking hazard for smaller kids. Sometimes the older kid’s toys get mixed up with baby’s toys – this happens to me as well! Therefore, if you have older kids, it’s best to make an effort to keep their toys separate. Accessories like hair bands that are too tight can cut into baby’s soft head. Similarly, accessories like pacifier chains, if too long, can get entangled around baby’s neck. Always check if your baby’s feet are placed right in their shoes. Their little toes are so flexible, they can get bent when wearing a shoe if they curl up their toes too tightly inside it. 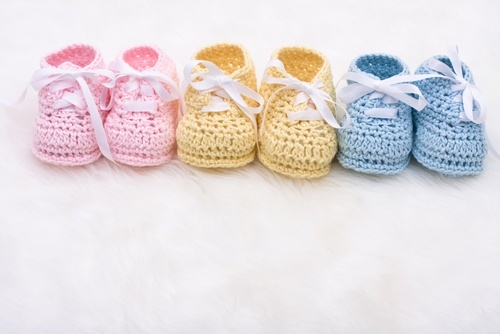 Yes, we know these are adorable and will shield baby’s head from an unwanted bump. However these fluffy and cozy comforters can cover baby’s face and suffocate him. Keep baby’s cot basic for the first year: just a firm mattress or a well-fitting mattress pad covered tightly with a fitted sheet will do. Some baby oils and bath oils contain hydrocrabons that can cause pneumonia like symptoms and serious lung damage if inhaled. Choose products that have proper baby-proof packaging. Better still, check the list of ingredients before you buy baby-care products and steer away from ones that have potentially harmful additives and ingredients. Some kids like to rummage through mummy’s handbag to see what treasures they can find! I know mine do! We have to admit that our handbags contain some pretty hazardous stuff. From make-up to safety pins, and medicines to pens, we have it all! Make sure to keep your handbag safely away from those little prying hands! Even though trusty old Rover has been with you for years, it doesn’t mean it is safe to leave the kids alone with him. Many kids have been rushed to the hospital after being bitten by otherwise calm dogs. Most often the culprit is their own family dog. So make sure your child doesn’t rudely wake it up, pull its tail or tease it. Keep your dog’s food and toys away from your kids as well. Yes, we have given you a lot to think about! But its always better to be safe than sorry! If you know of any more things that could be baby safety hazards or If you have any unique situations to share with us, please leave a comment and let us know…we would love to hear from you.